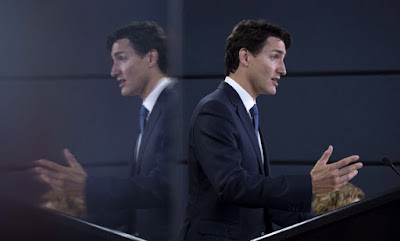 Justin Trudeau the leader of the Liberal Party of Canada and the Prime Minister of Canada wants the special forces record-breaking shot to be "celebrated." He also said that Canada's mission is not a combat one in Iraq. “But it’s also something to be understood as being entirely consistent with what Canada is expected – and Canadians expect our forces – to be doing as part of the coalition against Daesh.” The Prime Minister continued. The sniper shot that has made headlines was done in Iraq by a Joint Task Force Two sniper. The special forces sniper had to calculate several different aspects to ensure the shot actually hit. The calculations would have included wind speed, heat, distance, the curvature of the earth, etc. The shot was done at a distance of about 3,540 meters. The sniper was supporting Iraqi forces when he made the shot on an Islamic State fighter. Trudeau mentioned that this was done with the "advise and assist" action. The previous record was held by a British soldier who shot a Taliban fighter in Afghanistan in 2009. This shot, however, was around one kilometer further. However, while many people around the world are celebrating the record-breaking shot. Some such as NDP leader Tom Mulcair is questioning if Canada's role is involving combat in the region of Iraq. The Liberals promised a non-combat mission in the area during the Canadian federal election in 2015. They did remove the previous Conservative government's CF-18 fighter jets from the U.S led bombing campaign. The Liberals also increased the number of special forces in the region to 200. The Liberal government is expected to give an announcement on whether the current mission will be extended or if there will be changes made to the mission for Canada. The current mandate of the mission is supposed to expire on June 30.